What are the best beaches in Atlantic Canada? But not just any beach either. What are the best beaches in Atlantic Canada that you may have not heard of and are worth checking out? That is a good question to ask, right! The reason why we think this is a great list is because so many media publications keep recycling the same beaches over and over again. Nope… not this blogger. Lets show you some other beaches which are real sweet. 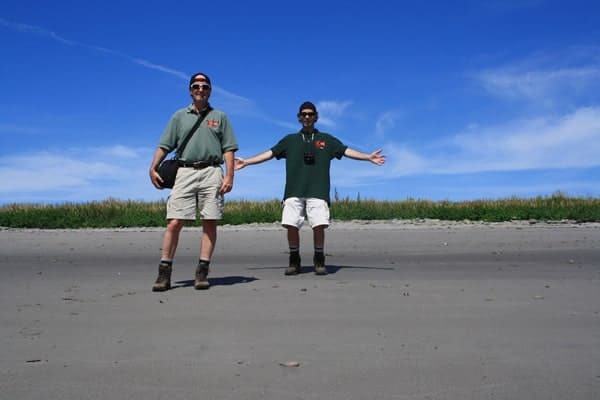 One of the benefits of my brothers and I blog and our website ehCanadaTravel.com is that all beaches are painted with the same brush. This enables you, the traveller, to make your own decisions on where you want to beach yourself and for whatever reasons. Plus… we are always cheering for the under dog and that applies to beaches too. Not to mention that most of these type of beaches have no crowds. For you newbies trying to figure out our Canadian geography we can provide some insight. When we refer to Atlantic Canada we mean Eastern Canada and the provinces of Nova Scotia, New Brunswick, Prince Edward Island and Newfoundland. All of our Atlantic provinces are on the eastern coastline of Canada and are covered in an assortment of beaches, parks, trails, cliffs, historic sites and lighthouses. For some of us here in Western Canada, winter never really arrived, which is disappointing for us snow-hounds but what can you do? I mean who wears shorts and a t-shirt in January in Canada when it is 14 degrees. Everybody now-a-days including tourists. Gone are the days of the Crazy Canuck running around in a t-shirt, shorts and no shoes in -20 degree weather. At least this year anyway. So since winter is being a drag and we just happen to be on the down-slope of the winter season we are starting to think sunshine thoughts. Yup, we turned the corner and now road trips, Frisbee, beach volleyball, hiking, camping on beaches keeps popping into our heads. If Mother Nature wants to play hard ball with her seasons then why not move onto the next season now? Forget Sprummer (Spring-Summer)! 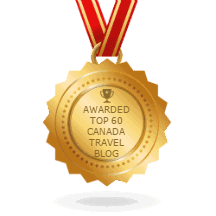 Why not start focusing on the “fun in the sun” summer lifestyle by sharing some of our best most memorable sandy beaches in Atlantic Canada that you may have not heard of? So we are. If we were to do it all over again (and we will sooner than later) what beaches would we want to revisit on our next go around in Atlantic Canada. But how about we throw in a twist to the equation. Instead of the same old beaches you see and hear about year after year, lets educate you this time with some beaches you may not of heard of. Gotta put in some work if you want to access this private sandy beach. If you want a beach all to yourself in Newfoundland then a general rule to follow is that it will not be an easy access beach. This is a prime example. To reach the beach at the end of the King’s Cove Trail located in Harry’s Harbour Newfoundland you must hike for 5 kilometres. The trail explores treed forests before revealing some views and your beach paradise. Crossing your fingers you get it all to yourself! We did! Pomquet Beach (Pomquet Beach Provincial Park) is a 3 kilometre white sandy beach near the community of Antigonish, Nova Scotia, Canada. The stunning white sandy beach is complimented by some boardwalk trails navigating over the sand dunes. This is a prime beach for beachcombing and sightseeing. Heck it is 3 kilometres long! What else do you want in a beach. Best at low tides. This beach we like for different reasons. It is not memorable to us on this list because of a beach. No, it is on the list because of the ambiance and throw-back of the surroundings. 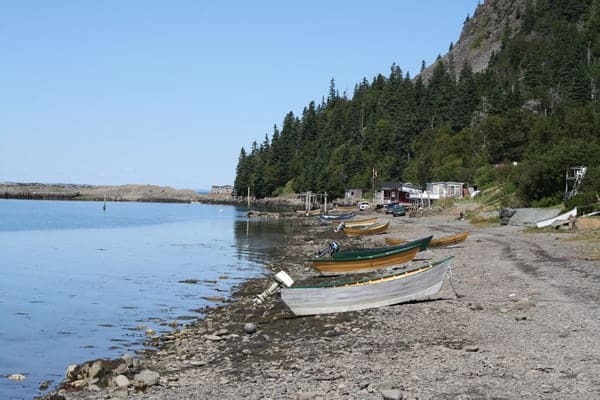 It is a sightseeing and exploring beach cove which includes an isthmus (seawall ) protecting the cove, rustic row of cottages and the row boats. It is a photographer’s dream. A step back in time to when fishing villages were the norm on this island. The beach enjoys views peering out over Colville Bay and when the tide is low visitors can explore for hundreds of metres from shore. It is amazing how far the tide recedes here. Many tourists arrive at low tide at the beach as it is famous for washing up sea glass. This is right off the main road in and out of Souris. It is very easy access and near the community services and shopping. Pond Cove Beach and the Brier Island Nature Preserve are located, you guessed it, on Brier Island. 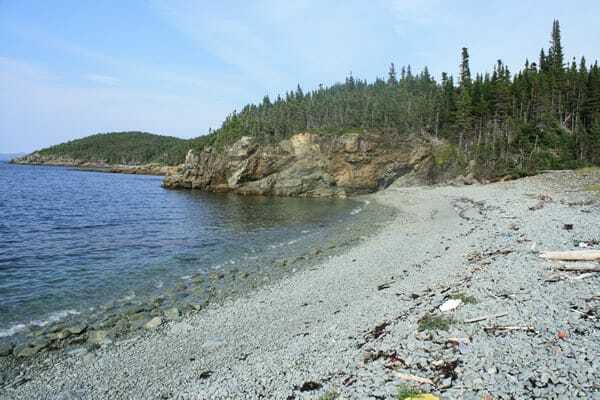 Pond’s Cove is a popular long sandy beach and hiking trail destination located on Digby Neck. The journey to this beach while driving is full of drop dead gorgeous scenery. The big bonus is that the cove is also a big birdwatching destination and home to a lighthouse. How can you go wrong with sand, birds and lighthouse? You can’t. … the ones you may not of heard of and worth checking out. 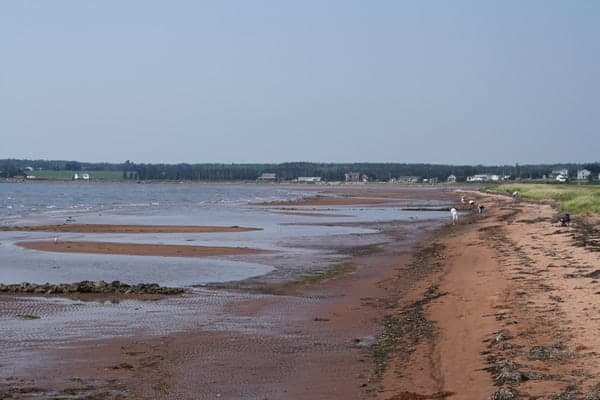 PEI – worth noting provincial park day access in PEI is free, and most have beaches, and are seldom crowded. 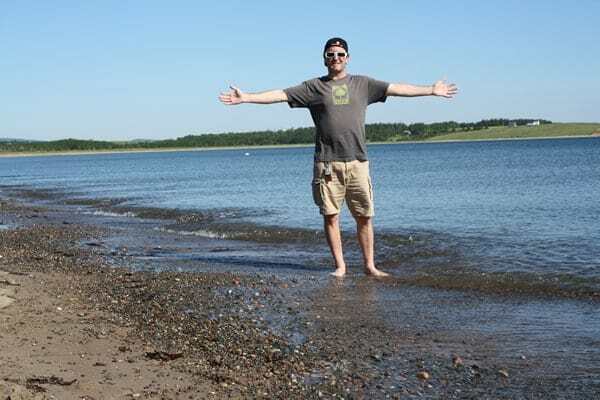 Souris Beach is fantastic, and deserves to be included in any list of PEI`s best beaches. I would add Lloyd Inman Memorial Park at Canoe Cove to the list of the best beaches you have never heard of. Well off the beaten path, and a bit hard to find, but, so worth the visit.